We are one of the well known manufacturers of Single Die Extruder, fabricated using optimum quality raw material. 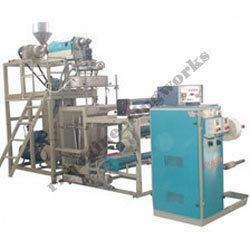 The extruder consists of gas nitrided screw & barrel, helical gear box, AC drives for extruder machines and surface winder. We are one of the well known manufacturers of Single Die Extruder fabricated using optimum quality raw material. 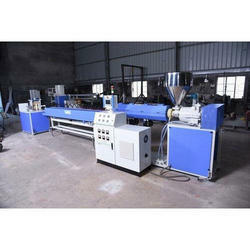 The extruder consists of gas nitrided screw & barrel, helical gear box, ac drives for extruder machines and surface winder.